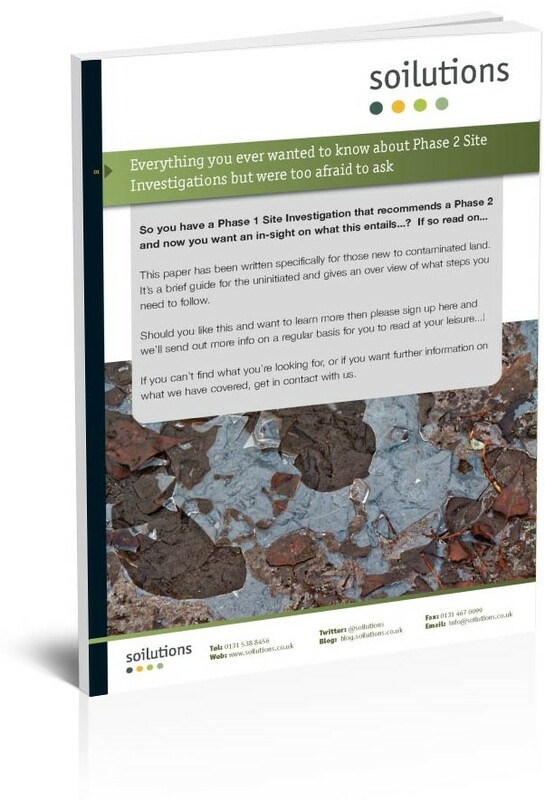 Why might a Phase 2 [Intrusive] Site Investigation be necessary? You may have just been presented with a Phase 1 report that found some cause for concern and recommendations to completed further work, perhaps to satisfy the regulators and/or protect your future investment. While this may be a Phase 2 Investigation, the principles discussed here would also be applied in the investigation of a pollution incident or an area otherwise known to be contaminated, it would just be termed an Intrusive Site Investigation for example. If there are gaps in understanding the nature, extent or transport routes for contaminants (or the Pollutant Pathway Linkages [PPLs]), then you will likely need to confirm the presence or absence of these PPLs. The only way you can really do this is through an intrusive investigation that would normally include the collection of soil and/or water samples and possibly gas or vapour monitoring or sampling. Until you collect evidence of contamination, then all those question marks remain potential risks and nothing more. The Phase 2 [Intrusive] Site Investigation should be designed to prove whether these sources, pathways and receptors exist.